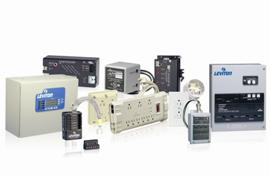 Surge suppression systems in Houston, indispensable in protecting computers, computer servers, phones, faxes, printers and copiers are provided by Highlights Electrical, the electrical contracting company and energy management experts who have been proudly serving the Houston area since 1986. The last thing a business owner needs is "DOWN TIME!" This is why we at Highlights Electrical have made it our business to help yours in preventing the blow-out of any of your precious electronic equipment with surge suppression equipment that has repeatedly been proven to effectively eliminate power surge issues. Think about what could happen to precious electronic equipment when down-stream from something like this without the proper surge suppression equipment! When you contact Highlights Electrical to receive the preventative tools you need, you need not worry about this potentially damaging down time happening to you. Highlights Electrical will guide you through the process of choosing and installing the right surge suppression equipment for your business and facilities needs. Rely on the experience of Highlights Electrical professionals who are ready to help you protect your business interests today with surge suppression systems that will keep your company operations running smoothly. 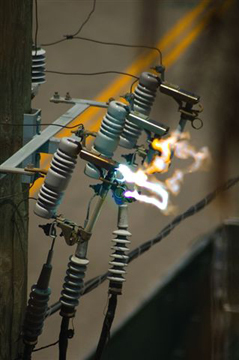 Please call us at 713-266-6464 to discuss surge suppression systems in Houston or for upgrading your current equipment to ensure the long-term functionality of all of the electronic tools you depend on each and every day.